Wearing History Smooth Aviator blouse! Some time ago, I ordered some cotton fabric from Spoonflower. It is designed by Charlotte over at Tuppence Ha'penny . Long time ago I saw her blouse and wanted one!! I just had to find the right pattern for it. 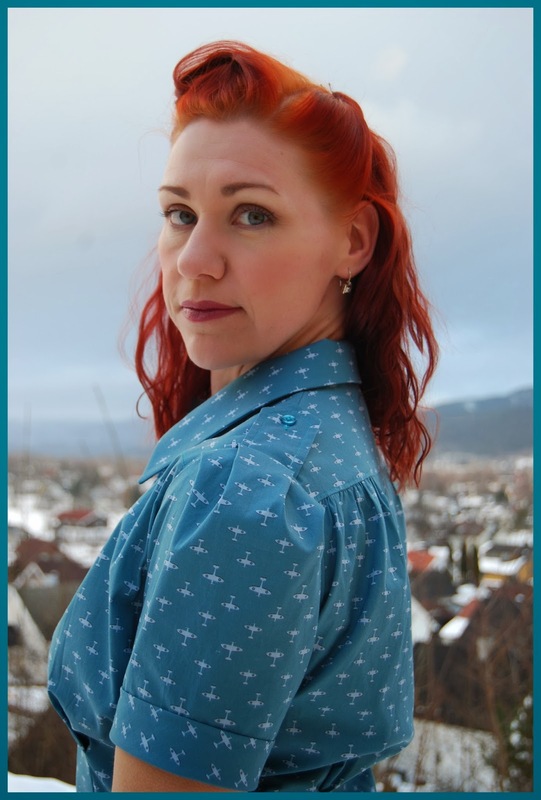 The Smooth sailing blouse pattern from Wearing History is one that I really like. I used it for my birdcage blouse, and got to thinking it would be awesome with spitfire planes too! 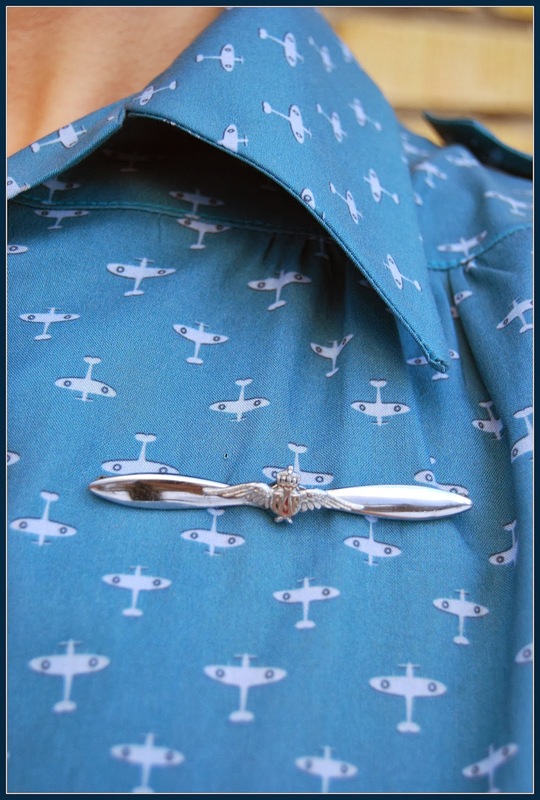 When I found this adorable RAF sweetheart propeller pin on Etsy, the deal was sealed. I had to sew a blouse for it! I wanted the blouse to have a touch of 'uniform', something suited for a lady of the RAF. So the giant puffed sleeves originally in the pattern had to go. I trimmed off 3/4" of the sleeve heads, and made shoulder pleats to get an outward puff instead. I had to play around with it, but I think it looks rather smart. 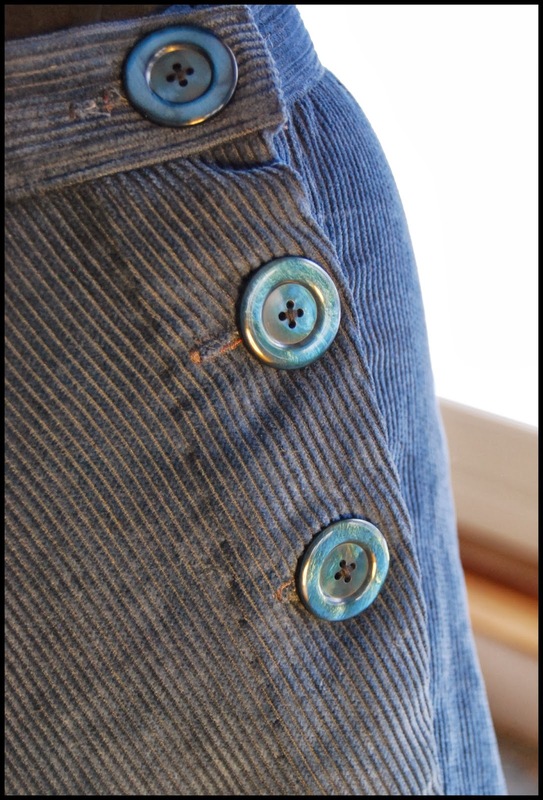 I also added a little buttoned down shoulder tab, for added 'masculinity'. I drafted my own chest pocket, which also was meant to have a tab, but I decided to just keep it plain. The fabric is the cheapest option on Spoonflower, I didn't have any experience with them, so I just ordered this to try out. It is computer printed for you when you order, so there's a 2" edge all around your fabric piece that is NOT printed, just plain white. The fabric itself was rather narrow to begin with (110cm) so one should really take this into account when ordering. It felt a bit stiff at first, and didn't soften much in the wash, but it didn't bleed much, so I am hoping the color keep up with wear. It creases easily, and get pin marks like nothing else, not to mention if you have to rip a seam. So I tried to keep errors at a minimum. When I came in from my photo session, I noticed I have one button undone on all the pictures. Oopsie. It was getting dark, so these are the photos you get :) Also, if I was to change anything about the blouse, I think the pocket should be placed a bit down, and more to the side. Oh well. All in all, VERY happy with this blouse! It turned out just how I wanted it to. Also it was much quicker to sew up second time around, and that helps a lot (and keeps the cursing and swearing to a tolerable level). I must be improving! 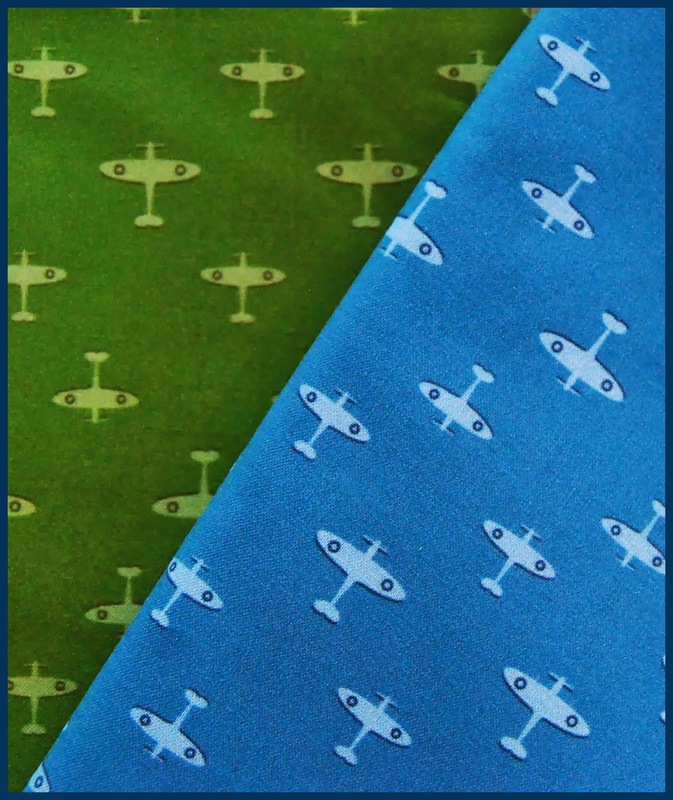 I have this fabric in green too, so there will be more Spitfires! Oh Marius... Why do you hate me so? I try to keep my posts positive, yet this will contain a small amount of frustration. Sometime before Christmas, Mr Pinhouse uttered a request for a traditional Marius sweater. Marius Eriksen, after whom the sweater is named, sporting reversed colored sweater. Read some about him here. Most used color scheme on the right. So you see, I took pride in making this sweater for him. It is said to have been a tradition for girls/young women to knit, and give this to their sweetheart, so I went on to continue this tradition. I cast on December 23rd, just two days after finishing my cable cardigan. 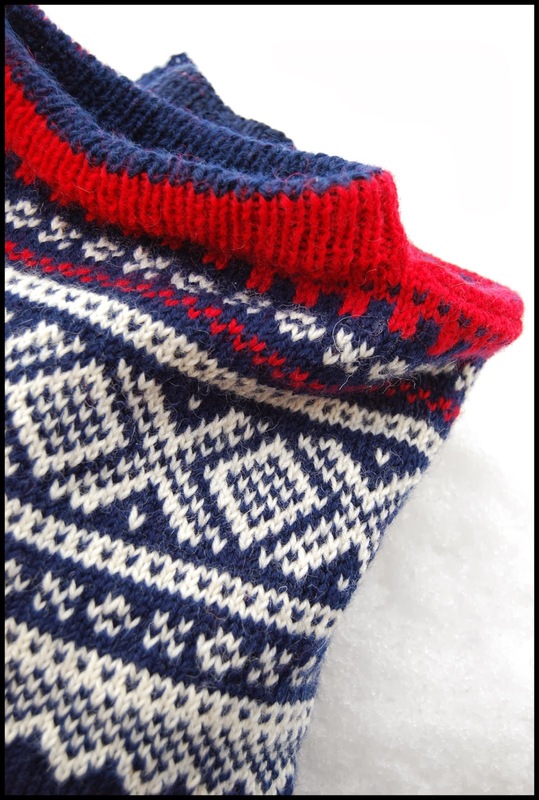 I chose a mens size medium, based on measurements of my "client", knitted a swatch even. I spent the next nine days knitting up the whole body in the round, and cast off at the neck. It then hit me that the sweater looked small. In fact it was too small even for me, and I had to frog the whole thing. I counted my stitches over 4", did some calculations, and decided I had to knit the XL size from the pattern and went at it again. Mr Pinhouse is a slender dude, and not that much bigger than me, so I figured this would be plenty big on him. The knitting went ok, although a bit lacking in the enthuze-department. I did inevitably, make an error on one of the sleeves, and had to frog half of it and re-knit. Tuesday the 4th of February, I finished the last piece. I steeked the body, which was utterly terrifying. I've always cast off for arm openings, but granted; it is easier to knit the body in the round the whole way up, and slice it up after. The design is quite boxy, and the sleeves (also knitted in the round) are fairly wide, and set in at a right angle. The shoulder seam and the sleeve is meant to meet up below the shoulder, and it was here I started to get that panicky feeling. I could see that the the arm wasn't particularly wide, and the "point of in-set" was rather close to the body and wasn't going to hang low, off the shoulder. Uh-oh. Our King Harald V, as a young Crown Prince and student at Oxford in 1960. I shamefully handed it to Mr P to try on, and could instantly see it was not fitting. Too small on top. Too tight around the armpit area, and over the back. Blah....I was miffed. I mean; how on earth could this happen?? I used the recommended yarn, the same needles. I measured and calculated. I knitted it twice. It is a mens XL for Pete's sake!! I have seen extra large men, and believe me; Mr P ain't it... And no way would those men get into my sweater. 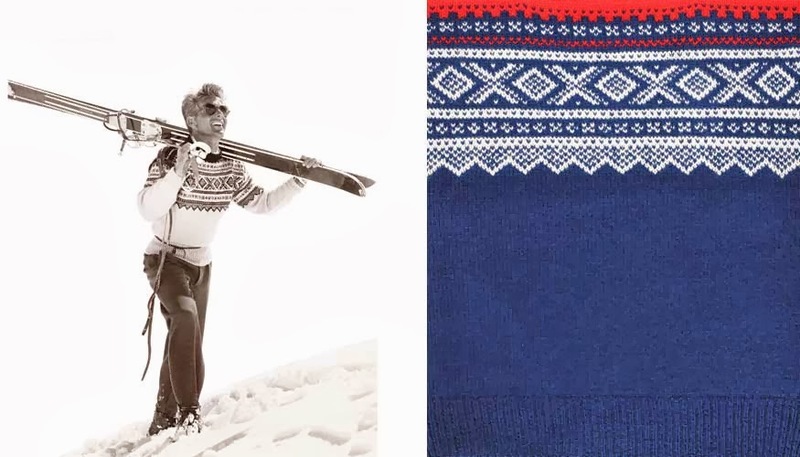 So, to wrap this up on a realistic note; Mr P is not getting his patriotic sweater (this week, anyway). Luckily, I can wear it without looking ridiculous, so it is not a total waste. I cannot help but feel like a small failure (even though I totally blame the pattern. Heh!). I really wanted to give him a sweater. 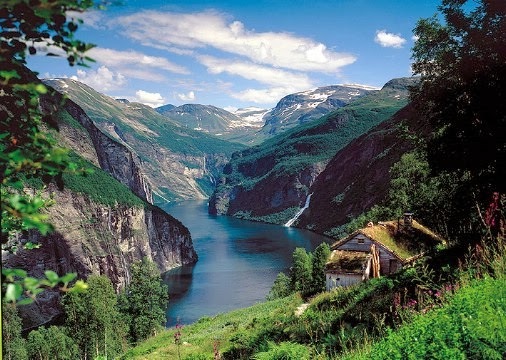 I am considering trying again (in secret), but I must say it is not very tempting. If I do, I will not use the sizing in the pattern. I will have to come up with my own measurements and amount of stitches. The pattern repeat for the borders/color-work are easy to adjust and incorporate into whatever size, so if I can only crack the size code, I'll be fine. Someone suggested I go up a needle size. But then I have no idea just how much bigger it will get, and I will not risk getting it wrong again. Besides, I like how the fabric looks and feels with 3.5mm needles and I fear knitting with size 4mm will make it to loose. I've never felt my knitting was especially tight, but obviously it is supposed to be much looser. The gauge in the pattern says 22 stitches over 4". I've got 26. Go figure. Did you ever promise to make something for someone, that ended up all wrong? How did it make you feel? And what did you do about it? I have been dabbling with skirt sewing this january. I have also been sick and we have gotten INSANE amounts of snow lately, so there has not been much actual sewing time between all the sniffeling and shovelling. 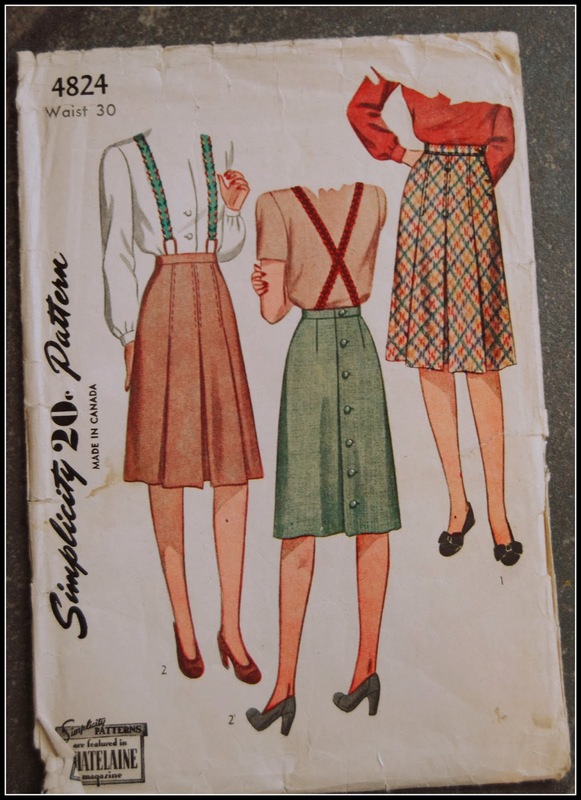 But there has been results; a navy corduroy version of Simplicity 4824 from 1943. I went for view 2, with pleats both in front and back. I've always loved the look of pleated skirts, and decided to try one. 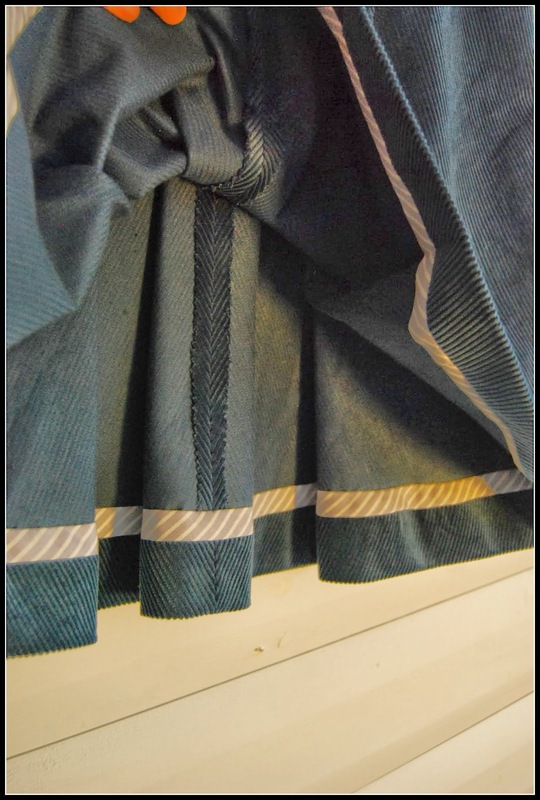 The actual pleating was very simple, and also makes it easy to make adjustment on size if needed. 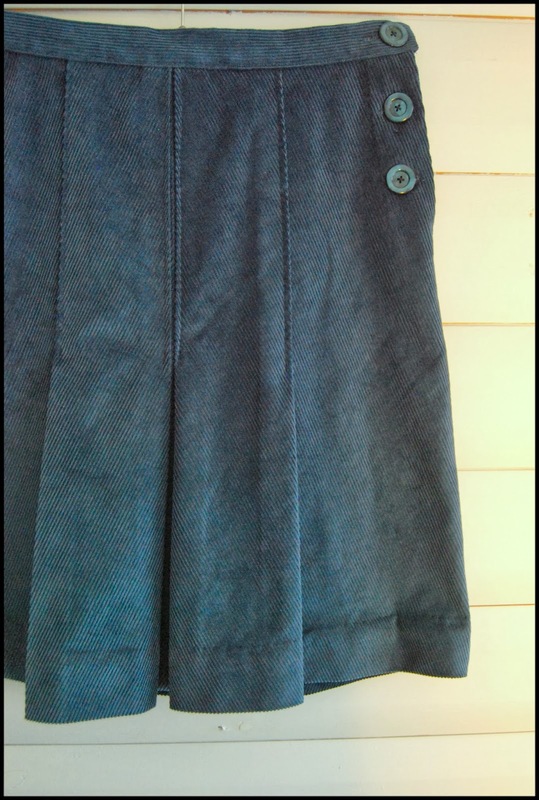 I had some navy/dark petrol corduroy in my stash that was intended for some 40s swing pants, but with all the procrastinating this plan produced, I decided to just use the fabric for something else (also, this makes for more fabric shopping in future *win*). 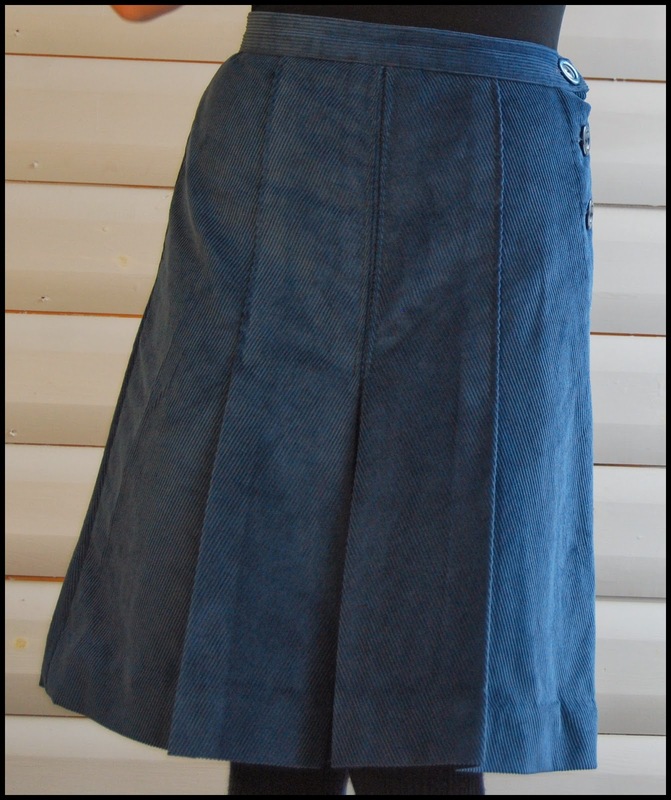 It is perhaps a bit too heavy for a skirt with big box pleats, it got a bit bulky in places, but it works. I want to try this pattern with a lighter fabric sometime, just to see the difference. 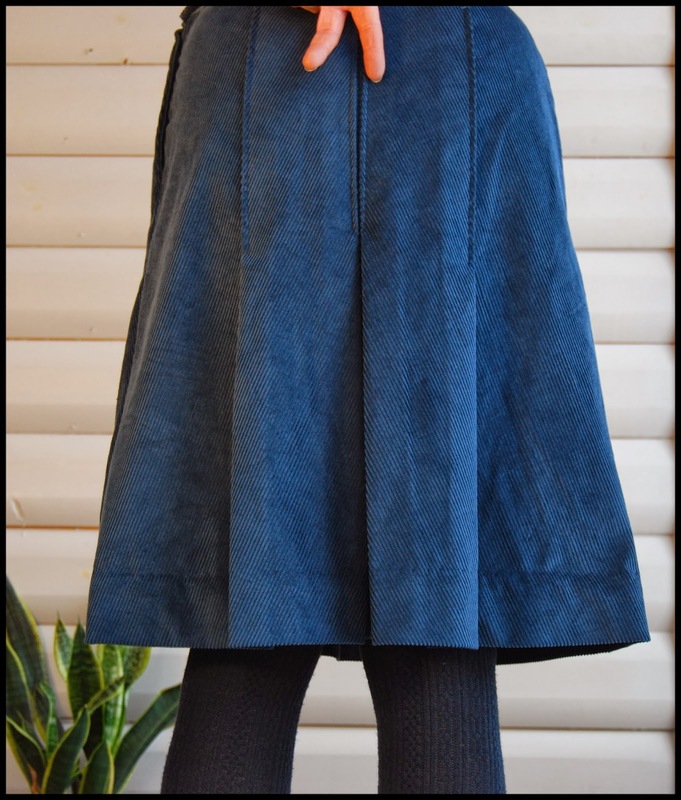 The skirt is just 5 pieces, and has a side button placket. I used large chunky, pearlized plastic buttons, but kept them in the same colorway. I think it would look great with some contrasting ones, too! The skirt has top stitching, but it disappears in the nap, so I didn't use any contrasting there either. But these features are great for adding interest to the design, so I believe this pattern has lots of potential in a variety of versions. All in all, I like the skirt. For my next version, I will use a lighter fabric, I will also shorten the stitching down the pleats. I think they should be more open (higher up) if that makes sense. I think it should have more width also (to make it even more A-line), but perhaps more open pleats will take care of that. If not, it should be possible to add on some to the pattern pieces. I am also thinking it could be fun to sew up a matching cropped jacket to go with it?